Freddy Krueger, face of a torched Glade candle, has dreams of his own. He dreams of finding each and every one of the preschool children, now sullen high school teens, who ratted him out 12 years ago for his pedophilic misdeeds. He dreams of sucking them into steamy, shrieky nightmares while they innocently slumber. He dreams of taunting them, dreams of shredding them like confetti with his steak-knife talons that clink and screech as if little microphones were embedded in them. Dreams do come true here on Elm Street, a quaint strip of suburban idyll where kids go splat. Michael Bay (said with a heavy, huffy sigh) is on a tear, remaking horror classics in the role of producer: “The Amityville Horror,” “The Hitcher,” “Friday the 13th,” “The Texas Chainsaw Massacre” and now Wes Craven’s 1984 “A Nightmare on Elm Street.” All of these rejiggers are entirely unnecessary sewage, but they make Bay a very rich man. His dream. Our nightmare. How did Freddy physically get inside the human subconscious? Where does he hang out when people aren’t dreaming? Hobbies? It doesn’t make a whit of sense, the concept has all sorts of holes and it drives you batty as you watch those holes grow wider and more tattered. But nobody cares, because the idea still intrigues and Freddy, that sneering horror icon in the grubby striped sweater and inexplicable fedora, endures. 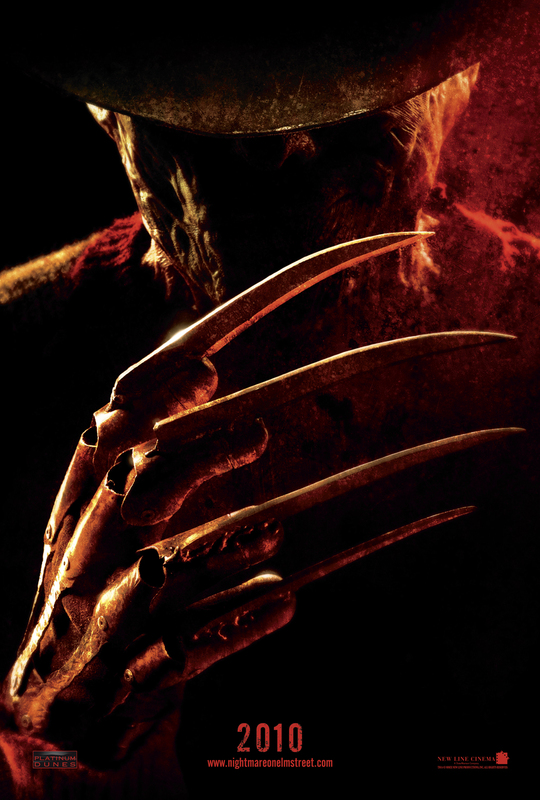 Robert Englund created the role with slavering delight — he seemed to be enjoying himself to a perverse degree — and appeared in about 67 sequels. He quickly became a self-caricature, a smart-alecky quip machine oiled by crummy puns.